This is a special Academy Event in 12 parts. Welcome to part 3! In this session, he shows us how to resolve claims disputes. Sometimes, you can resolve the dispute before it exists and sometimes, you have to resolve it after the loss occurs. 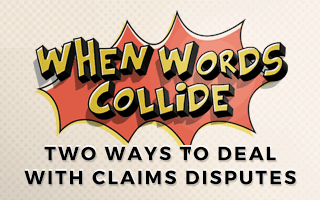 This webinar introduces the two most productive means of contending with claims disputes –avoidance (via prevention) and resolution (via advocacy). Learn what the movies War Games and Road House have to do with insurance coverage and claims dispute resolution. Identify seven (7) ways agents, brokers, consultants, underwriters, adjusters, and risk managers can avoid claims disputes. Discover the two (2) foundational premises that the entire insurance industry is based on. Understand how the insurance industry can better represent and market its products to insurance consumers.